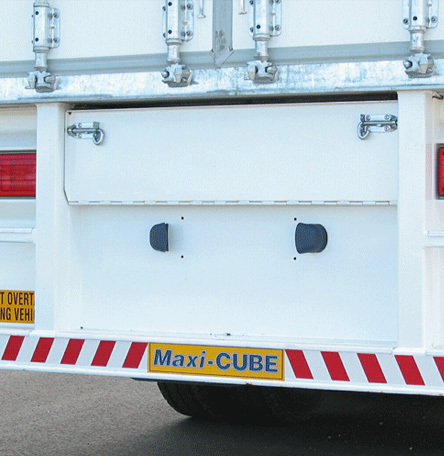 You get more with Maxi-CUBE – the C-Series is the latest development in the Maxi-CUBE Classic family and incorporates a full length chassis from bumper to skid plate for operators preferring this type of construction. 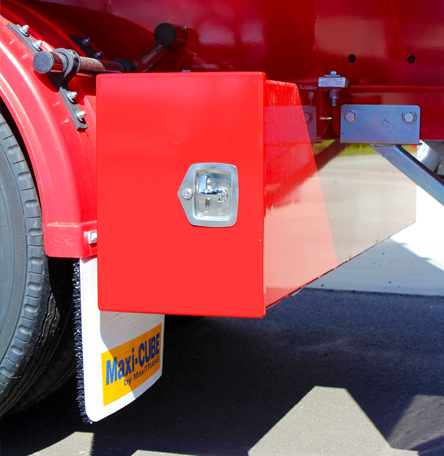 Maxi-CUBE’s traditional construction has been well proven in all conditions for 40 years and the addition of a full length chassis simply enhances its strength and integrity. 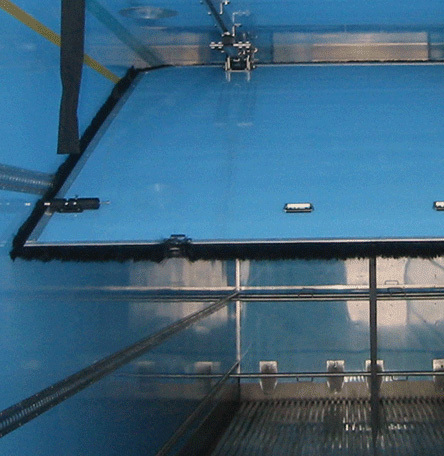 The Maxi-CUBE Double Loader System uses a unique Maxi-CUBE design, where the wall rail mounts are bonded and fastened to the walls and are sufficiently narrow that they do not need to be rebated into the walls, which maintains maximum insulation performance. 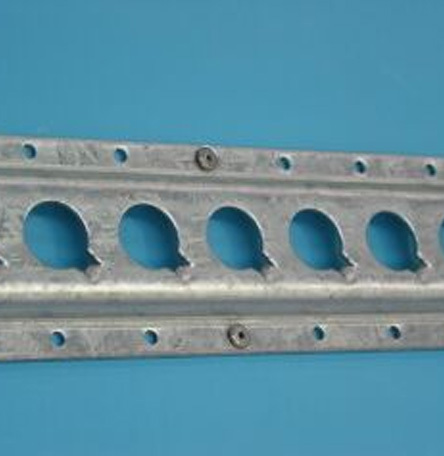 The Double Loader Bars are easy to handle and can support 1,000kg per pair. 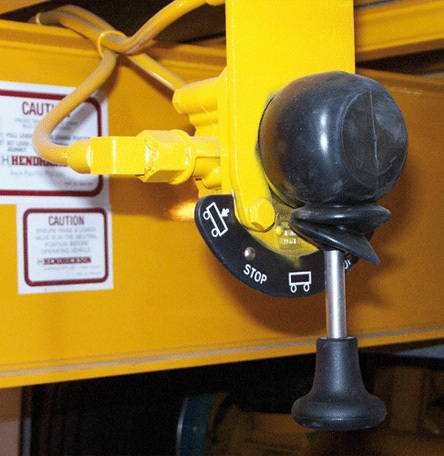 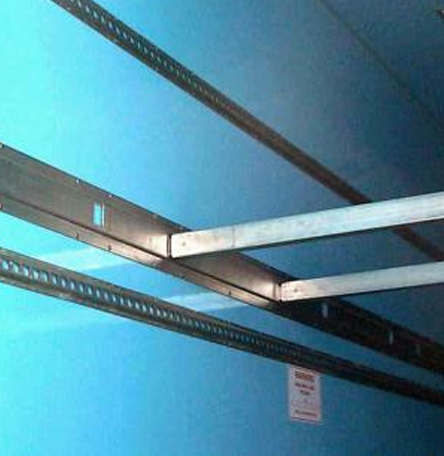 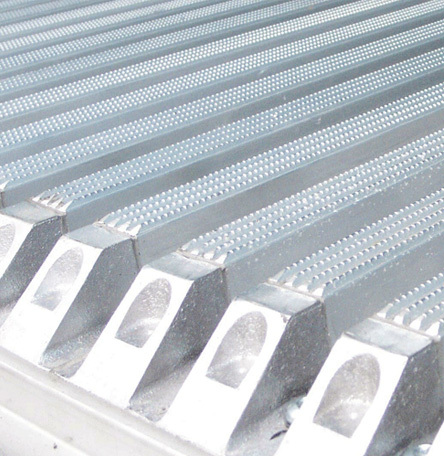 In this photograph we also show Load Lok that provides locking for both upper and lower pallets. 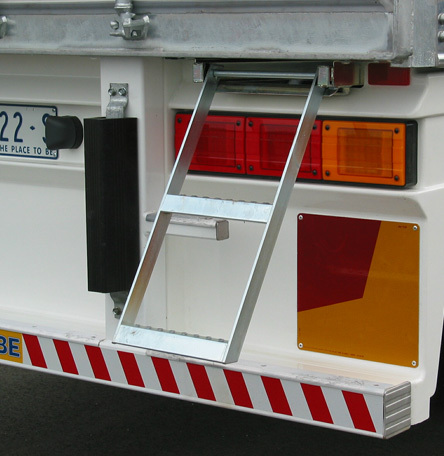 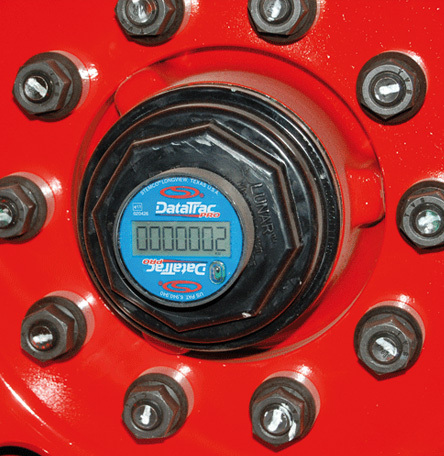 A specially designed storage box is available for stowing double loader bars when not in use. 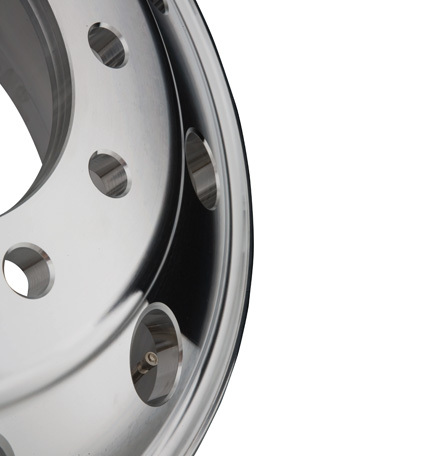 A variety of styles are available on request. 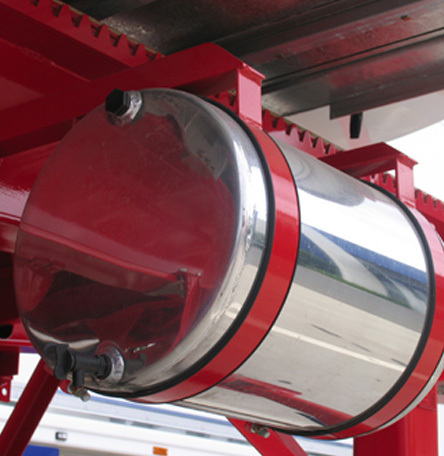 The model illustrated has an optional polished stainless steel lid. 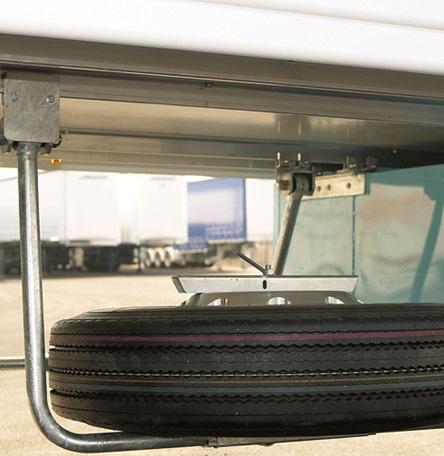 To ensure appropriate load restraint, especially when the van is not fully loaded, Maxi-CUBE Load Lok is your answer. 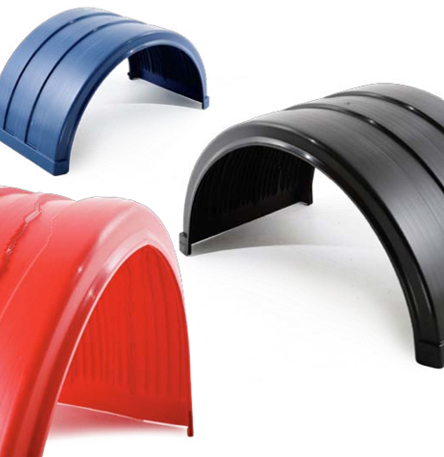 Several styles are available to suit various requirements. 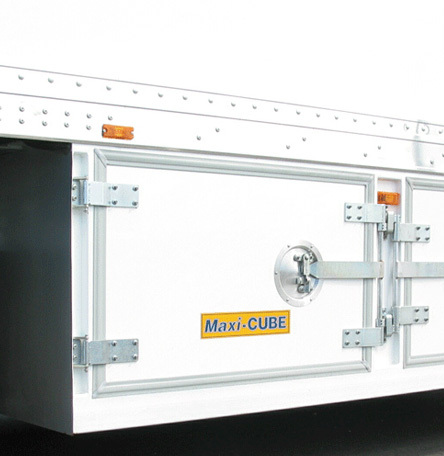 Please consult your Maxi-CUBE dealer for full details. 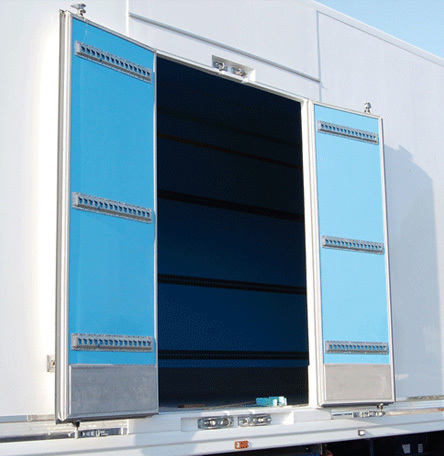 The addition of side doors provide easy access for loading and unloading and may be placed at a number of locations along the side of the trailer to suit your requirements. 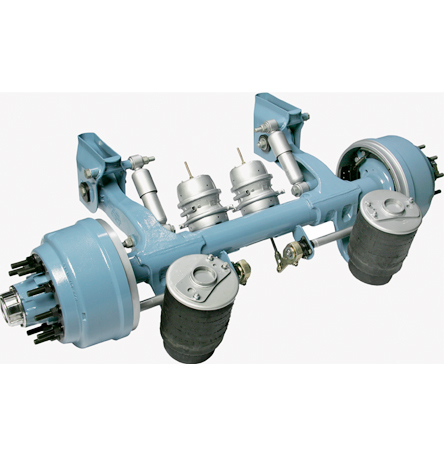 A wide range of configurations are available. 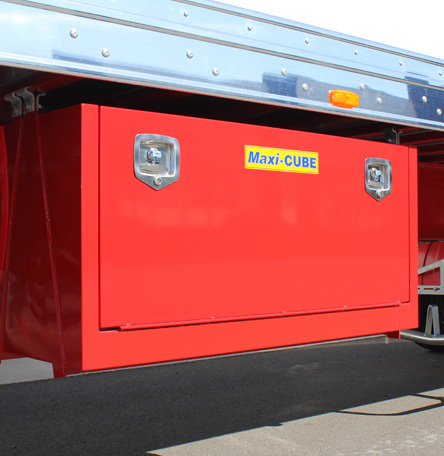 For more details please consult your local Maxi-CUBE dealer.